Kelsey Ruhl is a Theatre Arts graduate of Canadore College. Ruhl first appeared in the docudrama Harold and Lorna and has since appeared in the feature films The Captive, Christmas with Tucker, Algonquin, Midnight Masquerade, Valentine Ever After, Crossword Mystery,Christmas at Cartwright’s andJames Vs. His Future Self; working alongside actors such as Ryan Reynolds, Nicholas Campbell and James Brolin. As well as appearing in the television series’ Slasher, Carter and Letterkenny. Recently she appeared in the feature film Audience of Chairs. 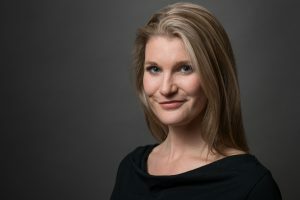 Kelsey has also worked on numerous stage productions portraying such characters as Milady in The 3 Musketeers, Johanna Donnelley in The Donnelley’s, Beverly Stacey in The Life and Death of John the Milkman, Maid Marian in Robin Hood: King of the Outlaws and Cordelia in King Lear. In fall 2016, Kelsey played the role of Sarah in the Proscenium Club debut production I Live with him Every Day: The Tragedy of David and Dave and also played Lucy in Joshua Bainbridge’s adaptation of Dracula. In winter 2017 she starred as Juliet in the Watershed Shakespeare Festival Collective production of Romeo and Juliet. Other notable productions include; Macbeth, People Grieving, Night of the Living Dead and Paper Dolls. 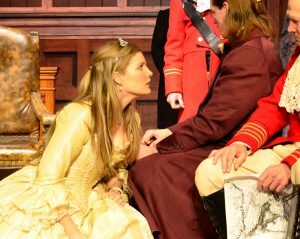 Kelsey appears as Lady Anne in Proscenium Club’s most recent show, Sit, James. Kesley Ruhl is an active visual artist and performance artist creating haunting and beautiful pieces that challenge and delight the viewer. After engaging in an intensive art-activism master-class with Clayton Windatt in 2016, Ruhl now engages in creation and dissemination actively. After recently performing at the Honest Ed’s closing reception in Toronto as part of the Future in Safe Hands Collective. 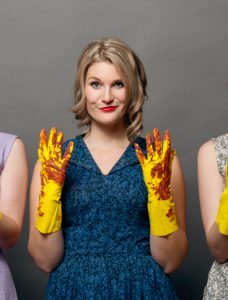 Kelsey is the Artistic Director of the “On the Edge Fringe Festival” in North Bay, which just celebrated its fifth summer of Fringe. She continues to work with other Northern artists to make the festival bigger and better every year.